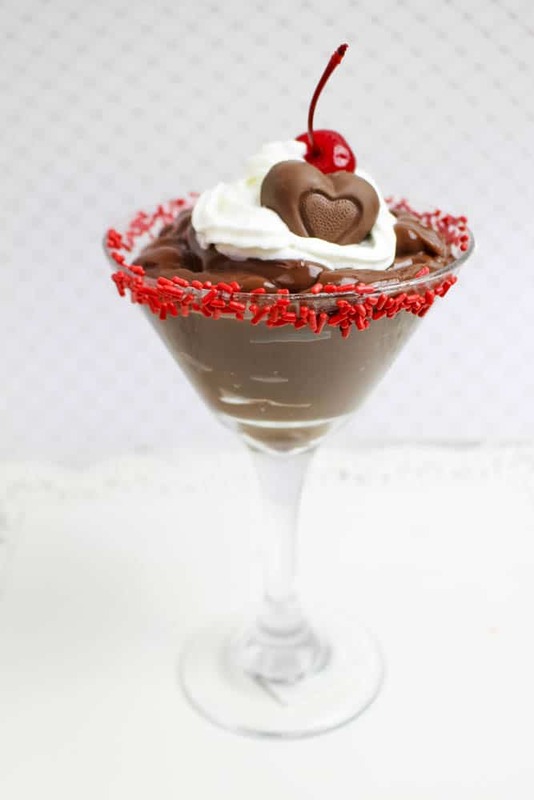 Oh man, do I have an incredible Valentine’s Day dessert recipe— RumChata Chocolate Pudding Parfait! This adult-only chocolate pudding is made with RumChata, a delicious rum cream that tastes like cinnamon, vanilla and sugar (think Cinnamon Toast Crunch!). If you’ve had Horchata it’s similar to that … but with rum! YUM YUM YUM! 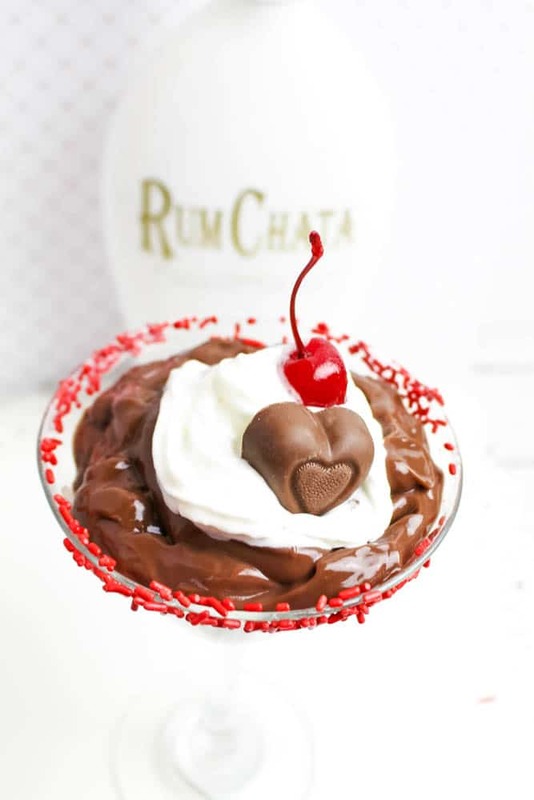 Of course, you should’t limit RumChata Chocolate Pudding to just Valentine’s Day, but this parfait preparation really makes a statement if you’re serving it to someone you love. I made it for my husband last week and he went crazy for the pudding’s creamy chocolaty flavor— you really have to try it to understand what all the fuss is about! 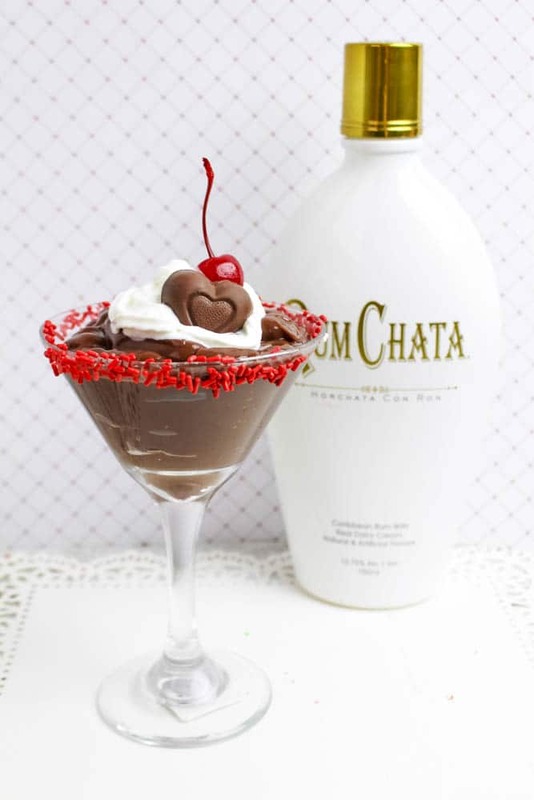 Besides chocolate pudding, RumChata can be used in a variety of ways, so don’t let any of its yumminess go to waste. I enjoy RumChata on the rocks, in coffee and as a special ingredient in baked goods. You really can’t go wrong with this cream liqueur. In a mixing bowl, add the milk, pudding mix and RumChata and mix until thickened. Fold in 1/4 cup of Cool Whip. Spoon into 4 martini glasses. Cover with plastic wrap and chill for at least 4 hours or overnight. 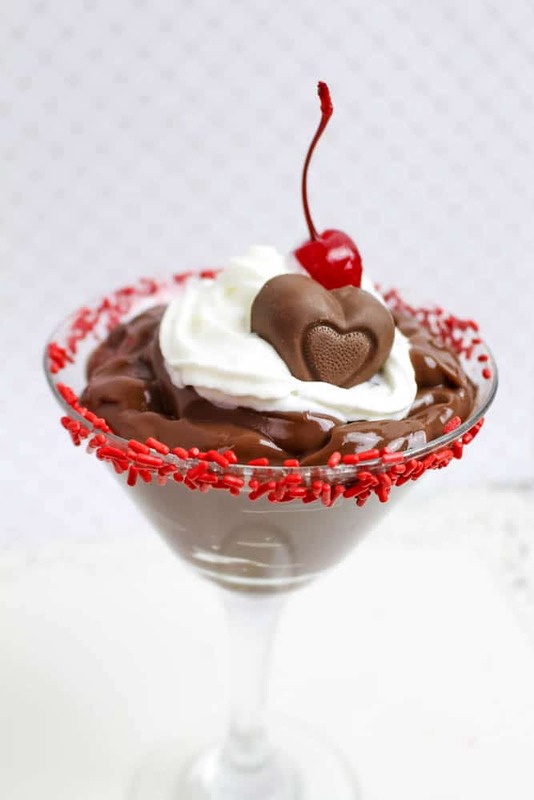 Before serving, add additional whipped topping, a chocolate candy heart and a cherry. Making this tonight! Tastes fantastic!